These are so great and hope the other 29 times doing this has been fun for you. Make 3 envelopes out of, pretty card stock, calendars, wallpaper, any kind of sturdy ( but not like cardboard) paper you have. On each envelope add a sticker on the front of all three. Any sticker can be used to decorate them. Do make them large enough to send a letter or card in but no smaller than to send a postcard in. Small sizes we will set up a swap around December as gift tags. But not now unless you want to send more. 3 ratings I will check out as to why. 1 swapper - 3 envelopes as described. I you have an address that is USA but live in Canada you are welcome but your USA address must be on your profile. :( is there also a swap like this international? I have been told that square envelopes when mailed cost extra, is that true? @ladydy5 - yes, square envelopes cost more to mail in the US. So, if that is the case why not make other sizes to mail instead of square ones! This is not based on partner's profile, is it? Pobuffy, no, it is not based on partners profile. Edited description to show an exception for Canada swappers as some do have USA address also.. I would love to join this swap... I love making envies with my We R Making Memories Punch Board. So much fun and so easy and nice. Thanks. You can also tear apart an envelope and draw around it carefully. Like @suzannehartog I would also like to know if you plan to do an international one sometime perhaps? You can do an International one if you like. I have had word that the amount of postage to international (Europe and such) is extremely high now and most stay away from it. Even sending from there to the USA. A friend of mine is a clerk at the post office and I ask her about the square envies and she said it doesn't matter about the shape the cost is based on ounces. If you have not sent your envelopes yet please notice that I did not put "magazine" as a sturdy envelope to be made from. You must read the entire description of a swap. I have made mistakes also but it could cost you a lower rating, unless you resend to swapper that gave you that low rating. Always communicate. 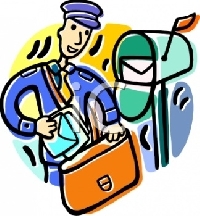 @tammielynn1969 believe me it all depends on the postal clerk you talk to but I have sent square envelopes in a greeting card and the person had to pay for it being a square one when sent from home. Check USPS first. I find it amazing to think that when it gets in the circulation that they measure anything unless it gets kicked out of their machine. That is why I mentioned it. Ridiculous,.I know,. One of my swap partners sent me an envelope that was 3x3. It cost her 49 Â¢ and cost me another 21Â¢. Mailman said it was too small for machine. He actually hand delivered it to me. @Momski that is what I am talking about. It all depends on who works the machines that sort, or what post office clerk handles it. I even had my return address on the back of an envelope and the front naturally addressed to receiver and stamped correctly and yet post office delivered it back to me not to swapper. @nanasbug didn't send this swap, and yet you let her join #31. ??? ?